DALLAS, Texas (June 8, 2017) — Heritage Auctions Europe recently sold a 10 dukat "Portugalöser," struck by the city of Deventer in the year 1640 to compete with Portuguese coinage circulating in Brazil, for $179,000 — by far a record price ever realized for a coin of the pre-Kingdom Dutch provinces. "Heritage Auctions Europe has been growing steadily since its opening in 2015," said Jacco Scheper, Director of Heritage Auctions Europe. "We're extremely pleased to see high-value lots coming from these auctions and expect to see many more in the months to come." The story behind the coin ties together the history of the Netherlands and Portugal. Dutch commercial interests were minting coins at the time to compete with Portuguese coinage circulating in Brazil, as The Netherlands provinces were trying to establish colonial toeholds there. Because the city of Deventer had no authorization to mint these coins in 1640, this issue was labeled a "medal" to fly under the radar of the rules. In both die work and metallurgical content, it is a Dutch issue and the world record price for a Dutch coin. A rumor was circulating all around The Netherlands at the time that the big, 10 ducat-sized coins were bringing a premium of 50 percent or more over their gold weight in Brazil, where the Dutch had some budding colonies. This was the backdrop for anyone in Holland even having an incentive to strike such a coin. The fact that the rumor turned out to be false, plus the fact that the central Dutch government forbid further striking of this coin, and the fact that travel from the Netherlands to Brazil to cash in was an incredibly arduous undertaking in the year 1640, led to this project barely getting off the ground, and very few of the coins being struck. Only a few dozen of these coins are presumed to have been minted, if that. This specimen has the unique distinction of being the only one in private hands. "Ordinary" Portugalösers can realize more than €100,000 in high grade. This Deventer Portugalöser is not only many times more rare, but also was certified to be in uncirculated condition (MS61). 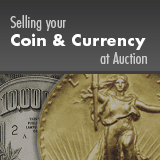 "We expected heavy interest from the whole world for this spectacular coin and the market responded," Scheper said. 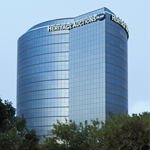 Heritage Auctions is the largest fine art and collectibles auction house founded in the United States, and the world's largest collectibles auctioneer. 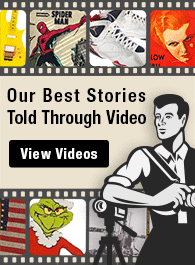 Heritage maintains offices in New York, Dallas, Beverly Hills, San Francisco, Chicago, Palm Beach, Paris, Geneva, Amsterdam and Hong Kong.